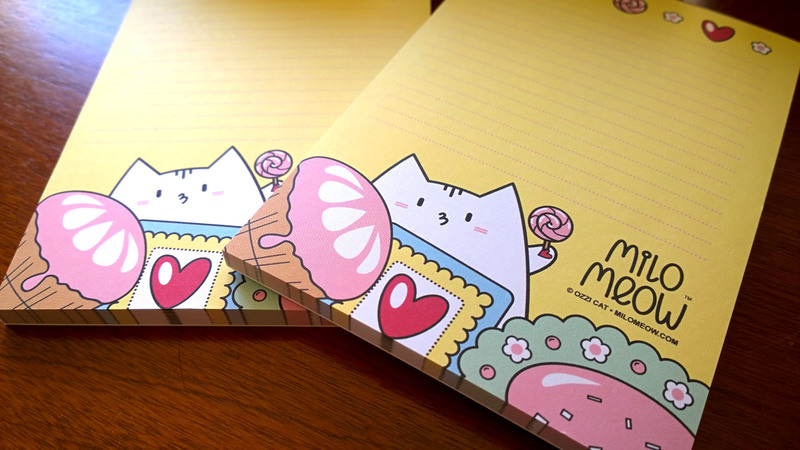 Use kawaii Milo Meow cat notepads in your Kikki.K, Filofax and other life planners! Fist perfectly any A5 planner or larger, including Kikki.K, Filofax and similar planners that have a pocket for notepads of an A6 size (a standard postcard size). These cat notepads will fit a planner of a smaller size, e.g. Filofax Personal, Collins Debden, and others. Just place the cat notepad where the planner’s back cover is, without inserting it into the back cover’s pocket.